NAMTA provides an array of products and services developed to assist members in business. Check out all the Resources below available to you as a member. NAMTA's Art Materials World brings unique opportunities for art materials dealers and suppliers from around the World to connect. Namta's Online Membership Directory lets members see who their NAMTA peers are - Log in. Need help? 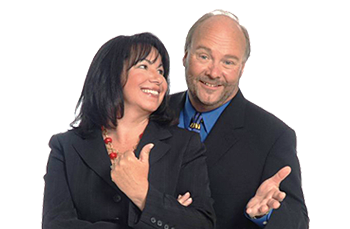 Contact Karen Brown. NAMTA tested a new video training idea at its San Antonio conference. When a supplier made their presentation in the show floor demonstration areas NAMTA recorded it to share with the many NAMTA members who were unable to attend. Below you will find nine videos featuring a variety of products . . . each providing a great opportunity for you to better educate your staff, customers and associates. 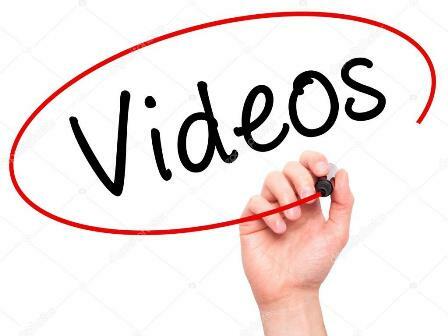 After you’ve watched one or more of the videos, let NAMTA know what you think of this format emailing Karen Brown at [email protected]. 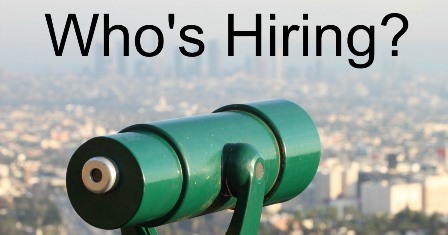 NAMTA Members can now promote - for FREE - an available position within their company in NAMTA's bi-weekly eNEWS and on the new Job Listings Page on NAMTA.org. The listing will run in an issue of eNEWS and then it will remain on the Job Listing Page until you notify NAMTA that the position has been filled. Job Listings are FREE for NAMTA members. Fill out the Job Listing Form. 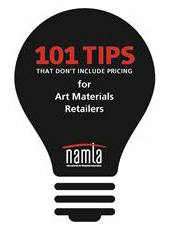 NAMTA's Promotional Calendar can assist art materials retailers with their marketing and promotion plans. 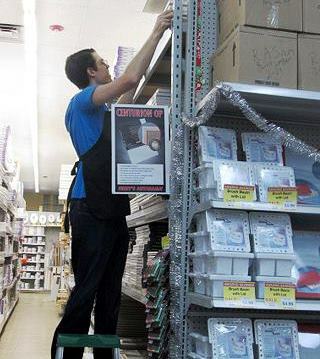 Special events and promotions draw attention to your store, create excitement and boost the bottom line. Here's a month-by-month list of potential promotional events NAMTA has compiled for you. Click here for savings programs for members. 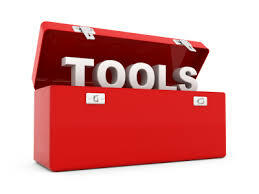 Toolbox Forms a little assistance To provide a little assistance NAMTA has created a toolbox of forms and ideas to help you - from the employment application to interview questions, employee evaluations, exit interviews, and various operational forms and information. 15 Holiday Event Ideas to Spin the Doors on Your Stores! Make Your Store a Stand Out! Published quarterly by Fahy-Williams Publishing since 1998, Art Materials Retailer Magazine addresses the issues facing the art supply industry and provides a forum for retailers and manufacturers to share information that can benefit everyone, along with interviews, retailing tips, NAMTA news, and loads of product information. 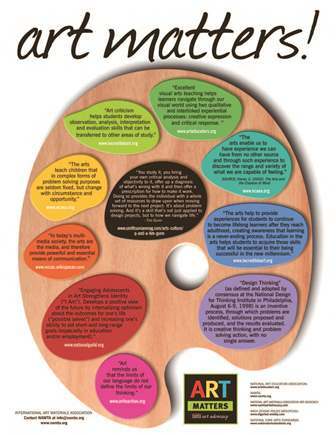 NAMTA Members - fill out this form to have Art Materials Retailer Magazine delivered to you by mail. NAMTA’s 2018 Retail Study, the second piece of the association’s tri-annual Artist and Art Materials Survey, is now downloadable here. The 36-page report is free to NAMTA members.Conducted by The Olinger Group of New Orleans, the study is the fourth report of art materials retailer research (previously studies were done in 2009, 2012, 2015) designed to identify and monitor current and future trends in the art industry. 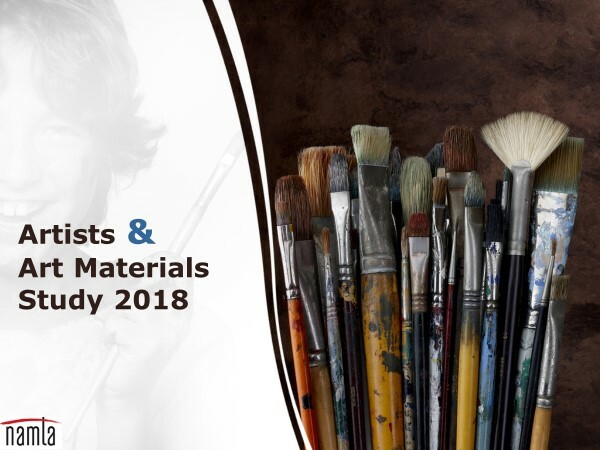 Both US (153) and Canadian (15) art materials retailers participated in the study, which was conducted between February 15 and March 9 of this year. 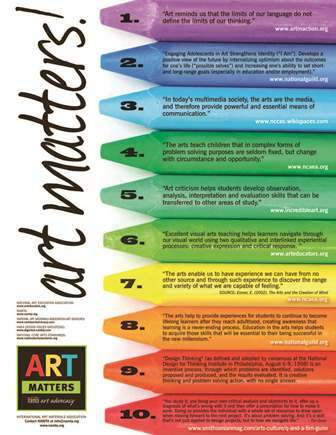 The NAMTA study was based on an online survey of 7,090 professional artists, student artists, and art hobbyists. This very large sample size yields a very low margin of error of ± 1.1%. Every survey involves some degree of error – that is, some difference between the survey result and the actual population result if every member of the relevant population were measured. A margin of error ± 1.1% means that we are 95% confident that the survey result is within only ± 1.1% of the true population value. This extremely high degree of precision ensures that the survey-based estimates presented in this report are accurate and trustworthy. Non-member price is $500 - use this form to purchase, or email [email protected]. Studies have been independently conducted in 2009, 2012, and 2015 with surveys of artists in the USA and Canada. Studies are FREE for NAMTA members. 2015 Market Summary is the ONLY summary available of the trends, size and growth of the art materials market in the USA and Canada. 2015 Artist Study gives the results of a December 2014 survey of more than 6,000 artists in the USA and Canada, including artworks created, art materials, content use, social media, spending by product category and retail channel, feedback for retailers, demographics, and returning to art. Report includes data from all three study years (2009, 2012, 2015), and professional, student, and recreational artists. 2015 Retail Study gives the results of a 2015 survey of 150 art materials retailers in the USA and Canada: core financial metrics, growth trends, product trends, marketing and business best practices, challenges, and feedback for suppliers. The report includes data from 2009, 2012, and 2015. From the 2012 Artist & Art Material Survey, includes retailer financial benchmarks, retailer marketing adviser, online retailer areas for improvement, product growth trends, along with product development insights. Volume I - A must-read for retail employers. Volume 4 - This book has been created to be continually utilized. Your business plan is not a one-time exercise. While the first time that you create your Business Plan will likely be the most intense, re-reading and tweaking it annually is necessary to keep it relevant and useful. Each year there are likely to be changes to the retail landscape: new niches of retail open up; competition moves in and out of your trade area; art trends change. 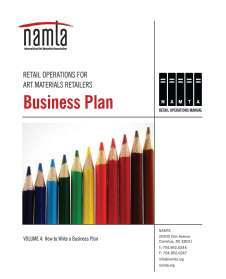 NAMTA members click here to read this new Retail Operations Manual. 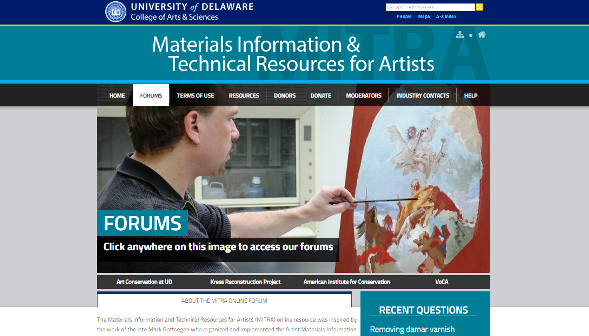 Take a look at MITRA, a website about Materials Information and Technical Resources for Artists - and all who are interested. 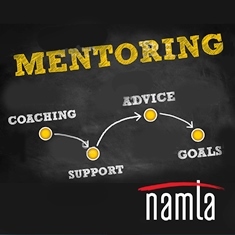 The NAMTA Mentor Program is designed to assist NAMTA Members* who are in the planning stages of opening an art materials business, or have recently opened their new business and in need of some guidance. Once you have completed the request form, NAMTA will work to pair you with a member who is experienced in the industry and willing to share their knowledge with you. 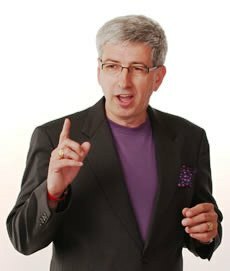 Interested in being a mentor? Click here for more info and forms. 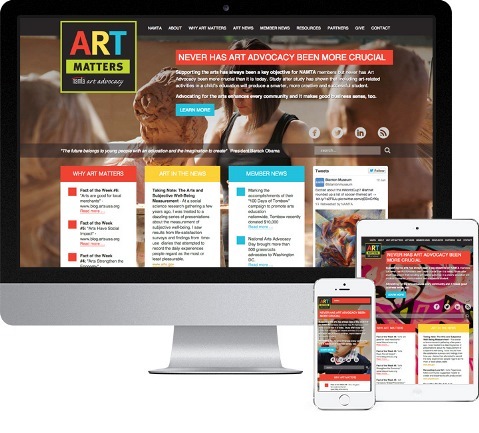 Art Advocacy NEWS is emailed quarterly with stories and information about advocating for the arts. Along with NAMTA.org, NAMTA also offers a site NAMTAartadvocacy.org with facts, information and tools about and for Art Advocacy for everyone. The Essential Reference Guide (ERG) was written in 2004 and is still used for staff training by some NAMTA members. After studying the files, members are encouraged take the online test. 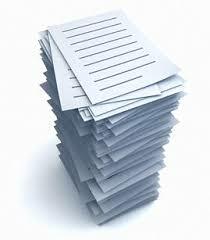 Members who pass the test will receive a Certificate of Acknowledgement from NAMTA. NAMTA members receive NAMTA's eNews by email every other week. The most current issue is always posted on the Home Page of NAMTA.org. Read past issues here- eNews Archives - that you may have missed.